Y’all know TFW you’re an extremely powerful faerie who has an important role to play in a war to save all of magic-kind, but you’re also extremely DTF? Meredith Goldstein (@MeredithGoldste), author and advice columnist for The Boston Globe’s Love Letters column and podcast, knows all about that feel, so we invited her to discuss A Court of Wings and Ruin, as well as the rest of Sarah J. Maas’s Court of Thorns and Roses YA fantasy series. If you take a drink every time we mix up the titles of these books, then you probably won’t notice all the times we mess up the characters’ names! Footnotes: What Happened in A Court of Thorns and Roses? 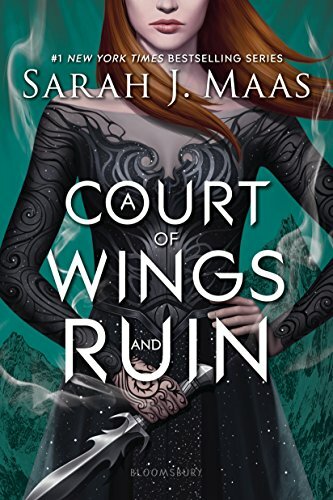 What Happened in A Court of Mist and Fury? Candy pairing: Kait says a bag of trail mix with gummy penises, Meredith says cotton candy, Renata says edible underwear. Coming up next: Our 100th Episode – book TBD!